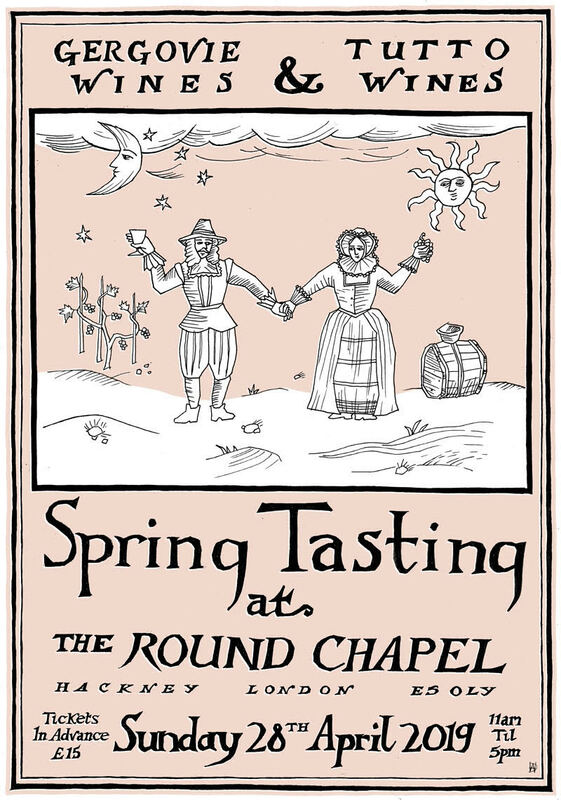 We are very pleased to announce that tickets for the 2019 edition of our Spring Tasting go on sale today. As usual we will be joined by our friends Tutto Wines and a very exciting group of winemakers at The Round Chapel, Hackney. Whilst 2018 was a great success we felt that the event was a little over subscribed. So in an effort to strike a balance between civilised wine tasting and Bacchic revelry we will be selling tickets in advance via the Spring Tasting website. Tickets are limited so don't dawdle! The tasting website also contains pertinent information for the day including a list of confirmed winemakers. Lunch on the day will be provided by our wonderful kitchen team, Browns of Brockley will be there all day keeping it frothy and The Kernel will be pouring their beers. It promises to be a great day.